When we think of buying or building a house, we look at the design of the interiors and the look of the whole house. We check the appliances, furnitures, light fixtures, bathrooms, etc. But we often neglect one of the most important materials in a house - the pipes. In a typical house or building, pipes only account for 3% of the total cost of construction. Plumbing will never be seen. It is embedded in the walls or buried underneath. If pipes are completely neglected and you get a poor quality product, the resulting damage can be more dangerous and more costly. The trouble with substandard pipes (in order to lower down the costs) is that they are made of substandard materials like calcium carbonate instead of PVC. Such pipes are brittle and will often chip and break. They are also prone to leaking and even clogging due to pressure, heat cold, and everyday wear and tear. Neltex Development Company, Incorporated held the 16th Mega Summer Bingo Bonanza last May 5, 2013 at the World Trade Center in Pasay City, where they invited key people in the construction and hardware business for a day of fun and surprises. Aside from giving away four (4) brand new cars to the lucky winners in the bingo games, it was also a venue for the company to conduct "The Hataw Challenge" where participants were invited to be a "palo-er." As a palo-er, they were given the chance to hit a Neltex Saniguard 600 series pipe with a metal carpentry hammer. I have also tried this challenge and I have learned that the Neltex pipe is truly a hard and durable product. If buildings or houses have poor pipes, it will entail bigger damage. Leaky pipes would mean poor water flow in places where you need it, and higher water bills as well. A stagnant pool of water near a leak can then lead to a contaminated water supply. Faulty drain pipes are even worse because it will give you water that is dirty and contaminated. The consequences of leaking drainpipes are often catastrophic. 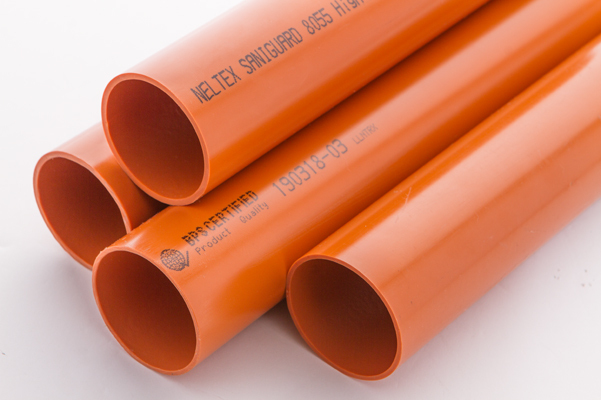 Neltex PVC Piping System has been the undisputed leader in PVC pipes in the Philippines for over 50 years now. PVC are the gold standard in pipes globally. The series 600 is a very thin walled sanitary pipe, known for being affordable as it is known for being tough. The next time you scout for a new home at a condominium or a house & lot, ask the developer or the owner if they have used Neltex pipes. If not, then think again.